I first posted this poem on Facebook in February 2015 amidst the fears surrounding the 2015 general elections in Nigeria. And today, as our country turns 57, I want to use this enlarged version to wish my compatriots a happy but thoughtful independence celebration. 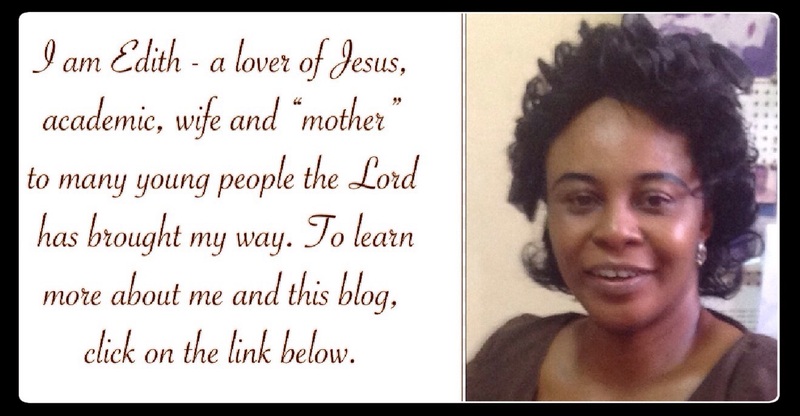 I also implore our friends around the world to join me to pray for Nigeria. Glory to God! Amen and amen. You're blessed, Godwin! Amen! May the Almighty never allow chaos in Nigeria. Undivided Unity dear Lord, we pray. Amen in Jesus' name. I trust you are fine, Mother in Israel. You are super favoured in Jesus' name. With all the sense organs of mine, I love this poem. For Nigeria, I pray for Peace, Truth, Justice and HOPE!!! Yes HOPE. Shakespeare cannot be any better. I really love it! Shakespeare? Lol! I'm glad you love it. Glory to God and much blessings to you in Jesus' name. Indeed we need to pray for this country. So much is going wrong which need to be salvaged. Hopefully, the leaders will learn that someday they'll no longer be there to do business as usual. Hopefully, they'll do the right thing. Hopefully, Nigeria will change. That is my prayer and that of many others, my brother. God has rescued from chaos so often in the past, it's time for us to get our act together and move forward. You are splendidly blessed in Jesus' name. Amen and amen. Stay blessed, my dear! AMEN ma. May your prayers come to pass! That is my heart cry. And may God raise up intercessors for Nigeria across the length and breadth of this nation. He is still a prayer-answering God. For Nigeria I pray growth... for Nigeria i pray freedom.. i pray stability..i pray SENSE! truly we need to pray for Nigeria, i love that line that says thus "i pray that followers will cease to mock" we the followers should not always condemn our leaders or nation rather we should pray that our leaders have the divine wisdom to take us to the promise land. this is really a wonderful piece, kudos ma. we will always pray for our dear country. we do not have any other place to call our own. love, unity and peace all the way forward. pray that God heals our land. as Christians, its our duty and role to stand in the gap on behalf of our country. Amen! And I pray that every word articulated in this poem would come to pass in no distant time. May God bless and protect us all from the troubles of this world. Hope, better tomorrow we all pray for a better Nigeria. For Nigeria I pray, I pray for God's blessings, favour, unending mercy to see us all through. Indeed Nigeria is a great nation & it takes only the strong to survive; many people prophesy too many negativities on this country; politicians have made promises, with nothing to show for it; many of them have looted our economy, drenched our resources only to enrich themselves and family in Nigeria & abroad, many of them have secured properties abroad, lands in Nigeria with nobody living there; and houses with a different name written on the certificate of ownership. Many prophets have prophesied bad things upon this nation; nevertheless we will never give up, we will keep pushing and will never stop. This nation is great, Nigeria is great. I believe. Nigeria is great; Nigeria is a land blessed with so many minerals/natural resources. Notwithstanding several prophecies and curses laid upon this land, we shall survive, from all the evil deeds of her leaders, we shall survive, from all the plans and negativities conducted on this land, we shall survive. Billions and millions have been embezzled and taken abroad, many have been taken from her treasury unaccounted for, financial crime commissions have fought and are still fighting all to no avail. An average youth in the street can't even boast of a job even with all the qualifications; degrees and masters from institutions of higher learning. Nigeria is great, i believe, Notwithstanding several prophecies and curses laid upon this land, we shall survive. Amen I pray same prayer for Nigeria Nigeria is a country God loves and I believe He will hear us... We also need to put it into practice as well for God to know that we have done our own part. Nigeria needs prayers! Amen and Amen to your prayers. God help Nigeria! i have nothing else to say Aunty Edith, you have said it all. all i would say is Amen! Amen! and Amen! God bless Nigeria. Amen! i believe Nigeria will be better someday-not perfect as we all expect but better than it is now. it will indeed blossom. prayer is something that we the citizens of Nigeria need in all the activities going on in the country it is only prayer that still unites us even with all the confusion. god has his plans for us we just need to a little patient with him. Nigeria is my heritage from God and I so much cherish and love my country, I pray that God will appoint our leaders by himself, those that will offer selfless services to the country and help in uplifting the economy. Nice one ma, people keep on saying Nigeria is doomed forever, but on seeing this poem, there was an excitement within me, that there are still people praying and hoping for the betterment of our country. And I decree that the prayer of the faithful shall never be neglected. In Jesus name! Nigeria shall rise again..
on a more concerned not, our country need prayer, we should make that as a daily affair in praying for our country, pray for religious leaders and against corrupt leaders ,enough shedding of innocent blood. This country would be a better place if only we would stand up and pray for it irrespective of our religious views be you a christian or Muslim. FOR NIGERIA, I PRAY THAT THE PEOPLE WILL STOP DEPENDING ON THE GOVERNMENT BUT START DOING LITTLE THINGS FOR THEMSELVES. THAT GOVERNMENT WORKERS WILL DO THEIR JOBS WITHOUT CHEATING AND THAT OUR YOUNG PEOPLE WILL TRULY BE THE LEADERS OF TOMORROW AND THAT WE WILL REALLY BE THE GIANTS OF AFRICA. I pray that God listens to your prayer for our dear country. i also pray that indeed the citizens will not sit by and mock while the government do very little for the masses. i pray that one day the challenges before Nigeria will lead to her recognition globally. that peace will reign and that crisis and ethnic strife will be a thing of the past. this i pray in jesus name, amen. I echo a loud amen to that prayer, Ma. i pray that indeed justice will be part of our values as a nation. that we might begin to take each other as brother and shun anything that wants to break us apart. i pray that truth be told and that we will learn accountability and the essence of telling the truth to ourselves and people connected to us. and also we plead for peace that bloodshed will be a thing of the past and that Nigerians can sleep at night with both eyes closed. Prayer they say is the master key. We have prayed, we pray and we will keep praying for Nigeria. It might take a gradual process but I believe that one day, our prayers won't be in vain. Prayer has been sustaining us in this country and I know that the God who answers prayer will never desert us. Amen!! For Nigeria i pray that there will arise people who are interested in pushing the nation forward and ushering in an era of growth and development. i also pray that we will be blessed with leaders who are interested in public affairs and not in propagating one agenda or the other for their family members. God help us in this country so we will not all run away to other pleasant lands. Through subsequent prayers dry bones shall live again...I trust that Nigeria could be better if we join hands nd cater for one another stop corruption and elect leaders with the potentials we need. Nigeria will not be the refuse dump others refer to her as, our light will shine brighter than ever, better things are in store for our great nation. We're not giving up on our country. It's ours to handle and love. God bless Nigeria! A bigger Amen! We pray for peace, unity nd love in our dear country..
A very loud amen to to this prayer. I pray Nigeria becomes better, produced good leaders that will put the interests of the people first. I pray corruption is reduced and tackled. I pray for justice to prevail in all circumstances and for everyone. Thank you for this poem. We pray that things get better in this country. We pray for Nigeria to become strong again, that our leaders become incurruptible. We pray that job employment be created for our ever growing youth in the country. We pray that God help us all. A big amen to this prayer.Nigeria is my country and I will continue to pray for the love, peace and development of this country. It an interesting work. God bless you ma. Amen to that prayer. We hope, we trust in God to bring eternal peace in our land. A peace that wealth cannot give us. I wish Nigerian a united stay. A state of many nations, I wish you eternal peace. I pray for peace, unity, a strong and blossoming economy, and good leaders in Nigeria. Lastly, I pray that our country Nigeria , will rise and become great again. Amen! 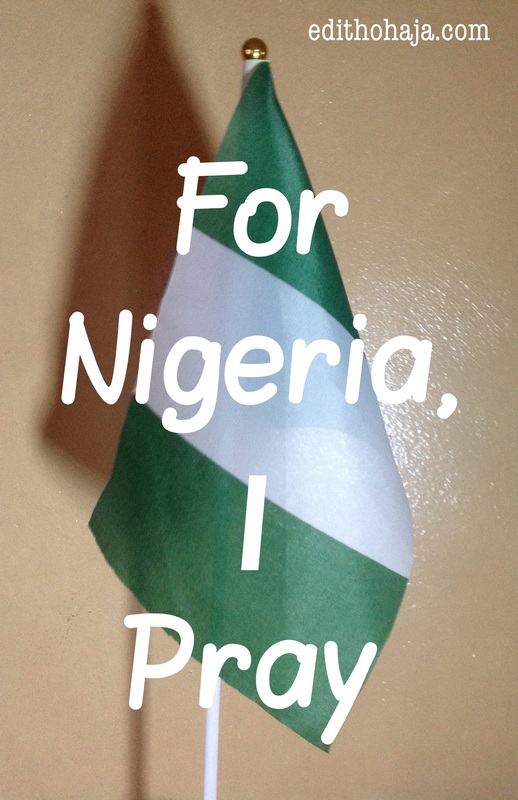 For Nigeria I pray for love. Love will see that all our prayers are answered. For Nigeria I pray for the enthronement of the rule of law against state of anarchy. Indeed this country needs prayers! Amen to all those who pray for a better Nigeria. Only God can transform Nigeria. I pray and looking forward to seeing a better Nigeria one day one time. Amen. I so love this poem. Its heart breaking, this country of ours . this country of ours that is on a fast track to destruction. Our so-called leaders only seek to lead their bank accounts. We all pray for Nigeria because it's only prayers that can save her now. We all want a peaceful and great Nigeria but we also need to do our parts as Nigerians. Thank you, ma, for the encouragement. We really do need the prayers and God's intervention in this country because of the corruption, especially among the leaders. We need God to grant them the wisdom to govern this great country. I just reechoed a reverberating AMEN to the supplication above, ma. It gladdens my heart when i come across citizens with goodwill for Nigeria. I pray for love.I pray for peace.I pray for transformation. I pray for unity and for a blossoming economy.I pray for good leaders.I pray that war shall be averted.I pray that God helps us through these tough times and towards the forthcoming general elections.The sleeping giant must rise in Jesus name.Thank you aunty Edith. I pray for a Nigeria where the legal system, the educational system, the political system and the economic system will be restructured, amen. Amen. This is the kind of prayer Nigeria need today. We pray for peace and harmony and may all the evildoers punished and may justice reign, also may our land be fruitful. Amen to these prayers. I pray for peace and harmony in our country; for oneness; for truth; for justice that evil doers and corrupt leaders be punished. I pray we see the great days we pray for. Nigeria is in God's hands. Amen. What a nice one ma,we all should pray for our country Nigeria,for peace and harmony to reign.In a country filled with corruption,confusion,and tribalism as the order of the day.It is only God that can save us. United we stand, divided we fall, I pray for God's grace to be bestowed upon we the residents of such residence, to maintain peaceful co existence amongst ourselves. For Nigeria I pray that all your prayers be answered, we need a better Nigeria for the younger generations. Many Nigerians say nothing good about the nation than to curse her. Let us always pray for a better Nigeria and also help in making it better in our own little way. Nigeria is ours and nothing can change that, so, we should always pray for the betterment of the nation. Nigeria will be better!! Thank u ma. Amen. I pray for our leaders that God would give them wisdom, knowledge and understanding of which He rendered to Solomon so as to lead this country Nigeria, to avoid more chaos and for the well-being of our country Nigeria. Nigeria is a nation loved by God but He says, "If my people shall humble themselves and come onto me... I will answer them and also heal their land". Nigerians need prayers more in this year because everything is going wrong in every sense of the word. AMEN AND Amen, may this great country Nigeria continue to flourish and may the hands of God come to our rescue. it is a good thing to pray for our country in perilious times like this. we have to invite God into the situation, thank you for this post and God bless you. Nigeria is a country blessed by God....... prayer is the key to every situation. Nigerians should learn to pray, to see the positive side in Nigeria...... An optimistic mind is a fulfilled mind so, a positive Nigeria is a fulfilled Nigeria . Honestly, Nigeria needs our prayers and God's intervention, so much is going in every sector of the country. The killing, the insecurity and so on. running away won't solve the problem, since the situation has swept us off our feet, I believe is time we go on our knees. So for Nigeria I pray for PEACE. Amen. I love this poem, ma. I join you to pray for peace,truth and justice in this country. I think that is what Nigeria needs most now. Nigeria is a country blessed with mineral resources by God. But looking at how things are going now, its as if things are turning upside down. We really need to pray for this country seriously, hoping and believing for things to turn better. Honestly, Nigeria needs our prayers and God's intervention. So much is going on in every sector of the country. The killings, the insecurity and so on. Running away won't solve the problem. Since the situation has swept us off our feet, I believe is time we go on our knees. So for Nigeria I pray for PEACE. Amen. For Nigeria we hold on to hope. I love this poem MA. Longlive!! our great nation. Prayers? Well, churches, mosques, even traditionalist have been praying for a better Nigeria but it's getting worse by the day. But, I suggest we all stand and fight for our unity and peace. Nice poem ma, hope God hears you. True, the level of prophesy that is said by doomsday prophet is so alarming but just like you said prayer can avert all negativity about our nation. I believe in prayer, but one thing that annoys me with Nigerians is that it's all we do. An instance is the tanker that exploded on a Lagos bridge some weeks ago. After that explosion,some will tweet out a prayer, post a video on Facebook with a prayer caption, some churches will observe a moment of silence, my Rev. Father will say "for the souls of the faithful departed...", the ones that passed the bridge a few minutes before it exploded will have thanksgiving in church with big smiles (forgetting that some who were related to people not as lucky are probably in the crowd and are close to tears/already crying). When we pray, we should back it with ACTION. God works through humans. He will not stretch out his hands and arrange things. We pray for Nigeria's economy while importing goods from abroad. Is it the angels that will buy Nigerian products?. We throw rubbish on the floor, and complain about how dirty the streets are. Will God will send spiritual cleaners to clean it up?. We watch injustice happen to our neighbours and turn a blind eye, then pray afterwards for God to protect our families from injustice. Most of our leaders are crap but we also contribute heavily to our misfortunes. IF WE DON'T TAKE ACTIONS TO STOP THE EVIL IN NIGERIA, IT'LL BE ANOTHER PERSON'S TURN TO CRY WHILE A TESTIMONY OF SURVIVAL IS GIVEN IN CHURCH. THEN A PRAYER WILL BE SAID FOR THE UNFORTUNATE ONES AND EVERYONE WILL MOVE ON. PRAYING THEY WON'T BE THE NEXT VICTIM. Powerful. I totally agree. Prayer alone isn't what God expects from us. Right and timely actions matter a lot too. Really touching piece, Nigeria really needs a change. Our country is dying by the minute so this poem comes at a time when different prayers are being offered on this same scenario which is peace and unity. Great poem. Very easy to understand. O great Nigeria, great giant of Africa. God has smiled and made it possible for all the living to acknowledge this day.Greater things we ask and pray for our country, Lord! Nigeria really needs prayers.. I'm sure God inspired you to write this poem, it is really awesome. Amen I pray that this lovely poem and prayer of yours be a reality. Our country is falling and is needed to be saved from all these tribulations. For Nigeria, I pray for good leaders, I pray also for a better tomorrow. for my country Nigeria I pray for peace, unity and a corruption free Nigeria. Being patriotic is a virtue. We should always love and pray for our dear Country no matter what. Nigeria is the only nation we can truly call our own. In our country Nigeria,we pray for God's favour and mercy.I pray and believe that our prayers will be answered for a better Nigeria and peaceful nation. Amen and amen ma. I equally pray God helps us see Nigeria in a better way, stop pointing accusing fingers, and do away with condemnation. Nigeria will sure get better. Amen Amen Amen, all these must happen in Jesus name especially the punishing of the bad leader. Nigeria need prayer today more ever, we must first plead for forgiveness of our own sins of omission. It is the sins of the priests and the sins of the leaders that finally bring a nation down. Top of the list is the sin of prayerlessness and lack of intercession for the peace and will of God in our land. It is wise for us to pray for our nation because whatever happens affects us as citizens but many people do not understand this. The best thing for us to do as good citizens of our country, Nigeria is to put our minds together and pray for a better Nigeria instead of pointing accusing fingers on our leaders, with prayers God can intervene for us. The earlier we realize this the better for us. Despite the fact that Nigeria is a religious country, our leaders and politicians still put the country in a mess. I will always pray for Nigeria my country, because I have no other country except Nigeria. Of a truth for Nigeria, I pray. I pray that the grace of God be upon this nation Nigeria for without God we can do nothing. May God's mercy and abundant grace be upon the citizens of this country. for the plans He has for us is for good and not of bad. What a beautiful poem. There is nothing prayer can't do, only if we have faith and be diligent in all we do. All hopes are not lost. Prayer plus diligence and unity is the way forward. Admist travails and crisis in the country, there is nothing prayer cannot solve. I look forward to the day, northerners can go to church and return to their houses alive.. Look forward to the the day project moneys would be used for the initial target and not to warm some officials' bank account,i look forward to the day police officers wouldn't hold a car owner on the road despite having all his/her papers !